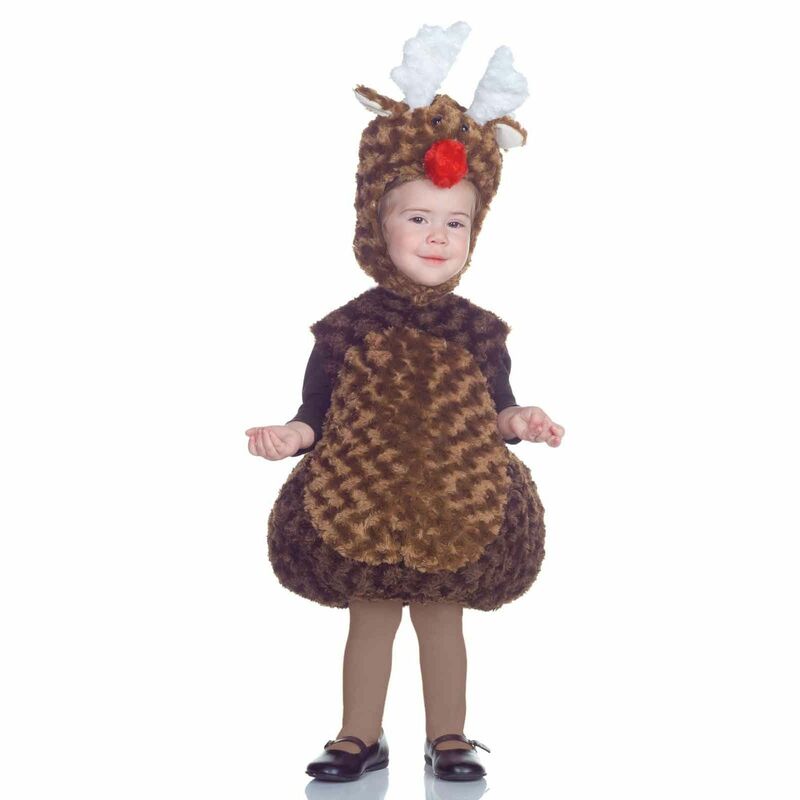 Underwraps Boys or Girls Infant Reindeer Costume New without tags, Sold separately Features: Adorable 2 piece reindeer costume Features plush swirl fur, bright Rudolph red nose Velcro closure headpiece at chin Spot clean Comes with: plush fur body and hood Does not include tight or shoes 100% polyester Measurements: 18-24 Months Height: 32-34 in Weight: 27-30 lbs 2T-4T Height: 36-42 in Weight: 30-37 lbs Payment: Please pay within 2 days, or contact me; I'm really understanding if you need to cancel - does take a cut whether I get paid or not though, so I would have to open a case after 2 days if no contact. Thank you for understanding! I do combine shipping - place items in cart and go to check out and hit the "request an invoice" button to receive updated invoice. PayPal only Shipping: Shipping is Monday - Friday. No weekend shipping I ship the day after I receive payment, if payment via E-check, item will be shipped the day after payment clears. United States: Priority Mail shipping, other options available, cost of shipping determined by weight International: Priority mail only - select countries have First Class Mail option(Canada, Brazil, Europe, UK, Germany, France, Japan, Australia) International Buyers - please note: Import duties, taxes, and charges are not included in the item price or shipping cost. These charges are the buyer's responsibility. Please check with your countries custom office prior to bidding or buying to determine what your additional costs will be. Returns: Returns are accepted 30 days after item is received, item must be unopened/unused/tag still attached. Return shipping is paid by buyer. Smoke free home Check out my store for more toddler costumes!